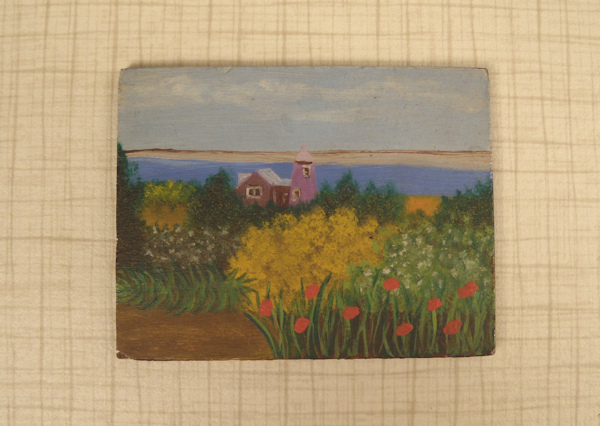 Lovely original artwork of what looks to be a garden and farm overlooking a bay, most likely Cape Cod, beautifully and artistically rendered by hand. 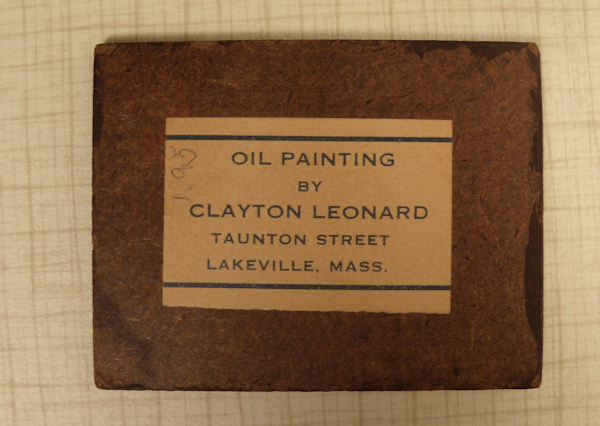 Looks like it was painted either in the 1940's or 1950's and has a paper label on the back: Oil Painting by Clayton Leonard, Taunton Street, Lakeville, Mass. Size of this miniature painting is 1 3/4" x 2 3/8. Lovely condition. Needs a little sticky wax to hang on the dollhouse wall. I am interested in purchasing Original Painting by Clayton Leonard of Lakeville Mass.